When it comes to the relatively new world of 3D printing, the possibilities are limitless - so much so that it's hard to know where to begin. So here's a good start: The CAD & 3D Printing eBook Bundle By Make:. Since 2005, Make: Magazine has been the primary resource for that particularly techie group of artists and artisans known as Makers. 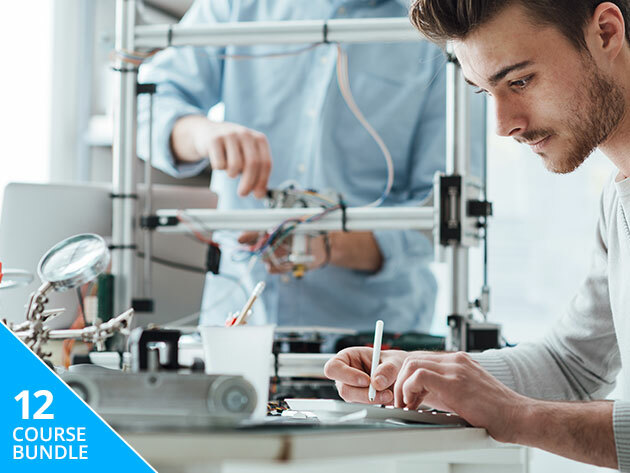 This new eBook bundle distills the best tips from Makers worldwide into a library that will get you inspired from the moment you get that printer or CAD machine out of the box. Beginners guides will take you through your first fabrications, and you'll quickly move on tackle "best of" projects from the Make: archives and learn your way around time-saving modeling tools like Fusion 360. Whether your aim is art, commerce or both, the ideas in this library will take you there. Pick up The CAD & 3D Printing eBook Bundle By Make: on sale now for $19.99.